Hand-written notes. | Finding delight. Do you send hand-written notes? My mother and grandmother instilled in me from a young age the power of jotting down a few lines and sending them out in the post. They’re always so fun to receive. Such a simple glimpse into someone’s daily life but somehow so much more intimate than what we see when we scroll through Instagram or Facebook feeds. And so much more permanent! A few months ago I was looking through some old letters I received as a kid. I couldn’t believe my mom wrote me a letter from the public pool (!) while I was at sleep-away camp. Or that my grandma saved all her quarters in a jar so we could use them when we came up for the state fair. What sweet things to remember all these years later! 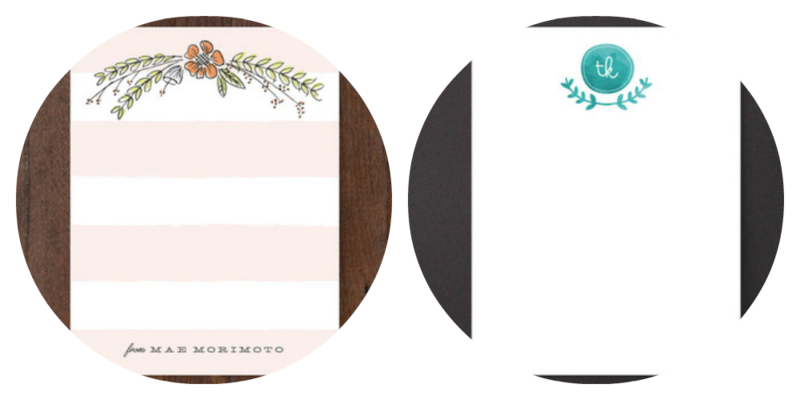 I try my best these days to always send Thank You notes and I love mailing Christmas cards…sometimes birthday cards. But I’d like to do better with the “just because” notes. 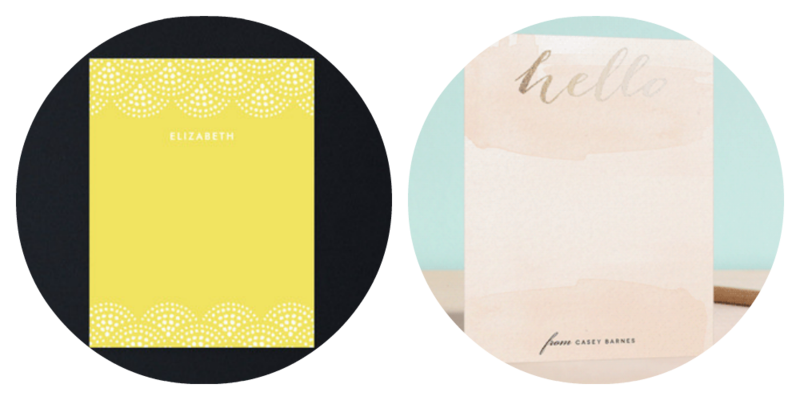 For inspiration I’ve been clicking around the stationery on Minted. 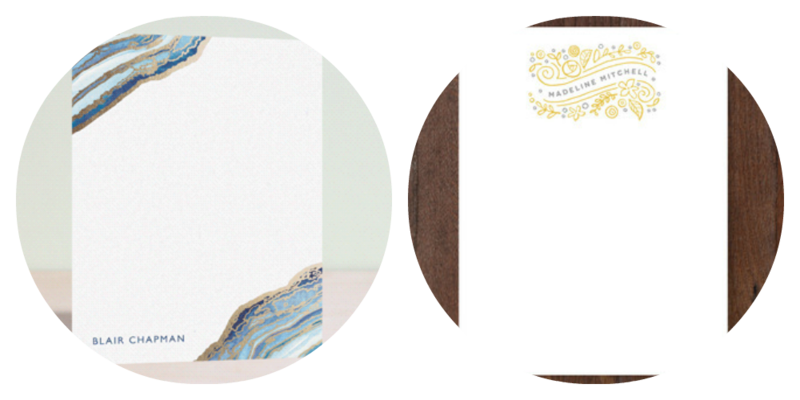 Here are 6 (personalized) sets that might spark the need to put pen to paper! They each definitely have their own little personalities, don’t you think? I love the sunny cheerfulness of Beaded Swag but there’s something so sophisticated and bold about Gilt Agate. I would feel super classy sending that out to someone, haha! Which would YOU choose?